Wolves have been in my life for nearly as long as I can remember. 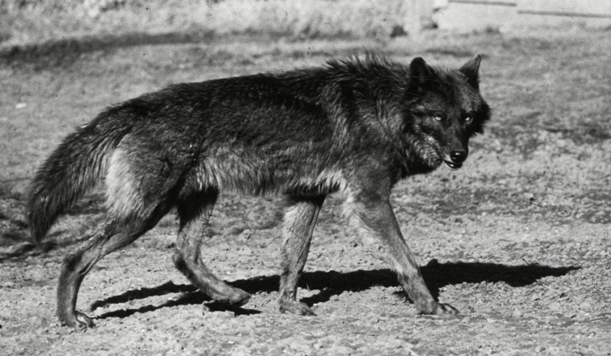 At the zoo my dad, Bob Elgin, directed in Des Moines, Iowa, I was the “wolf-girl.” It was my responsibility to tame a pair of half-wild black wolf cubs named Hansel and Gretel. I literally lived in their enclosure, hand fed them, talked to them, did everything in my power to erase the fear they felt of me and other human beings. Other wolves followed this pair and I remained the one in charge of them. I learned to love and respect these animals and at the same time, I became aware of the animosity many people have toward wolves. As wolf issues arose in the Rocky Mountain States, Oregon and elsewhere, I realized how complicated wolves are. Of course, it isn’t wolves that are complicated, it’s the relationship between them and us. Wolves tend to be either loathed or loved, with little sentiment in between. Ideally, through education and some mutual acceptance, a common ground can be found, one that allows wolves to be the animals they are and for people to exist beside them. Writing has long been a part of my life. I grew up listening to the sounds of my father’s old Remington typewriter as he hammered away at his writing. His book “The Tiger Is My Brother” was published when I was a teenager. It is about the trials and tribulations of being a zoo directer. I have written and published fiction and non-fiction. My article, Hounding the Hunters, was the cover story on Earth Island Journal’s 2016 Winter issue. Four feature articles have been published in The Oregonian, one on wolves in northeast Oregon, one on women backpacking alone, a story on watching wolves in Yellowstone, and another on raptors in my family, featuring my oldest daughter and my father. I enjoy writing nature related book reviews and most of these can be found on EcoLit Books. My book, Journey: The Wandering Wolf, will be released in early October. This non-fiction project is the culmination of over four years of research and writing and I look forward to sharing it with you. See the link for Journey: The Wandering Wolf on my website and FB page. Thanks for following this blog and for your appreciation of wolves. Your comments are more than welcome. Appreciate your note, Chavah, as well as your efforts to protect wolves. Beckie: Thank you for inviting me to be your Facebook friend. I am a Tibetan Buddhist and interfaith chaplaincy student in Berkeley, CA, who LOVES wolves. I have adopted a wolf pup and I send emails out virtually everyday to advocate for protection of wolves. I think what you are doing is great. Right now I’m reading Of Wolves and Men by Barry Lopez and loving it. I have a dear friend who lives in Portland, OR, that I visit every few years. Next time I come up I hope I can meet you. Hello Harvey, and thanks for your kind words. Please contact me when you are in Oregon, perhaps we could meet and talk wolves. Of Wolves and Men is perhaps my favorite of all wolf books. I’ve re-read it several times. Beckie — this is lovely. Guess what? we are kindred spirits in more ways than one — I am also from Iowa (as is Carter Niemeyer). Grew up in Ames. Maybe it’s in the water . . . Thanks, Amaroq! I love Iowa in many ways and one of them is because it made me appreciate the diversity and wildness of all the other places I’ve been. One never stops being awed by vast acres of forest, the powerful pull of the ocean, or the immensity of mountains after growing up in the relative flat and treeless land of the Midwest.